FLEXIDRY depackager is a versatile solution developed and patented by Green CREATIVE. 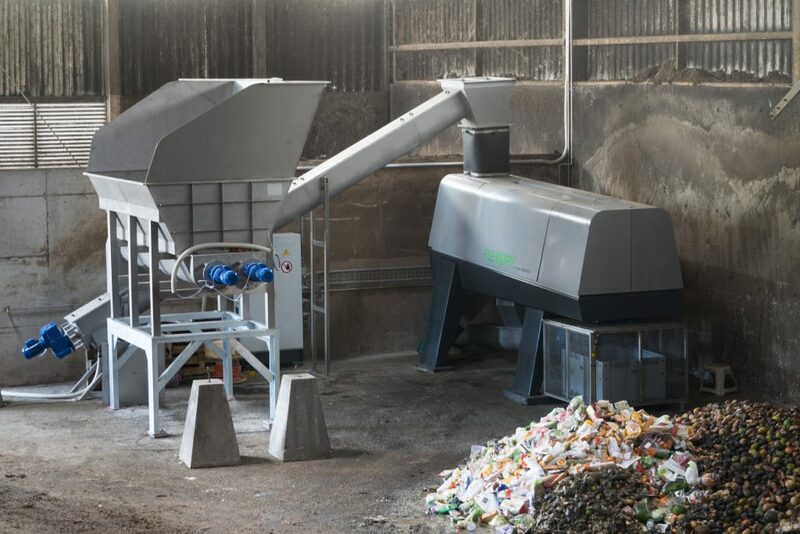 This food waste depackaging machine separates organic waste from its packaging, without water and without grinding – whatever the type of packaging or organic matter. By removing the packaging from food residues, FLEXIDRY recovers the fermentable fraction of waste that can be turned into biogas and fertilizer. Flexibility – FLEXIDRY processes all types of packaging. Both its operating mode and onsite integration are highly flexible. Quality – The recovered organics presents close to 0% contaminants and up to 99% of the organic matter is extracted. No added water – The process relies on low energy consuming mechanical actions and implies no water addition.